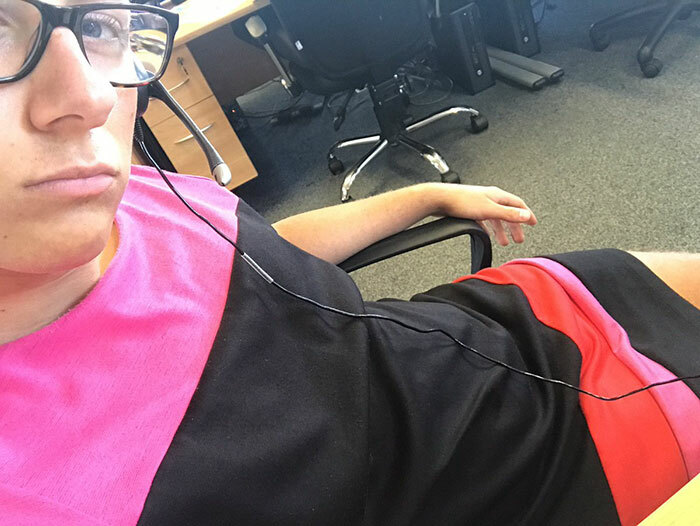 Office dress codes have become a hot-button issue in recent years, especially as hot temperatures outside force people into less-than-modest attire. 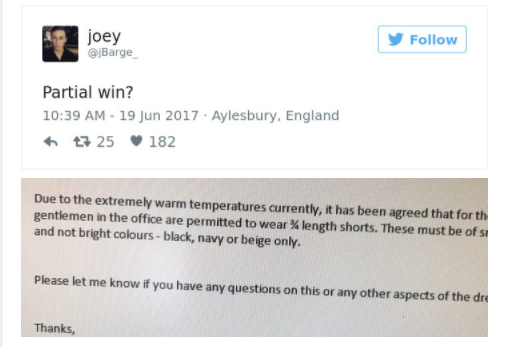 An employee at a call centre in Buckinghamshire, UK, named Joey Barge recently faced up against his company’s code when he was sent home for wearing a smart pair of shorts on a nearly 30-degree summer day. In rebellion, he took a tip from a fellow Twitter user and came back in a dress. “See you soon, twitter. I’ll be sent home soon,” he posted with a photo of himself sporting the neon-pink and black smock. 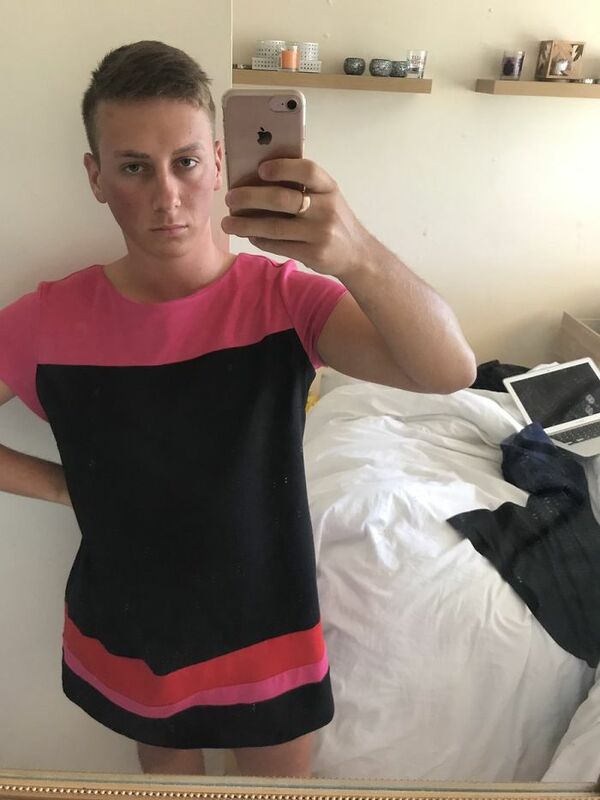 Surprisingly enough, 20-year-old Joey was allowed to remain at work after changing, undoubtedly benefiting from strict UK laws that prohibit companies from discriminating against employees based on their sexuality or gender identity. 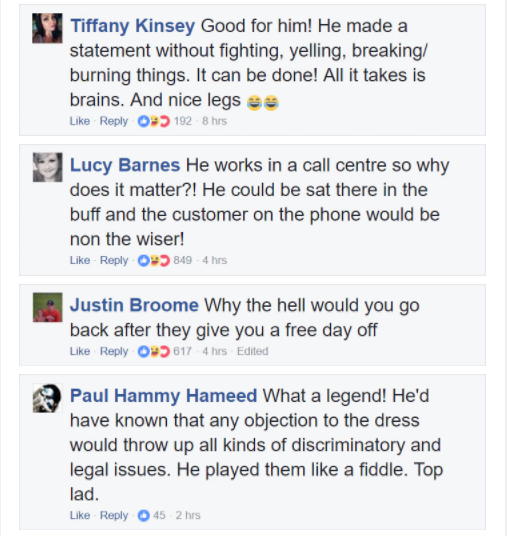 His boss must have feared a trend of men turning up to the office ‘dressed up’ in solidarity with Joey, and promptly sent out a memo that the dress code had been temporarily amended – a smashing victory on Joey’s part, though we must admit that his dress looked rather fetching. Follow the whole story with photos below, and let us know what you think! What do you think? 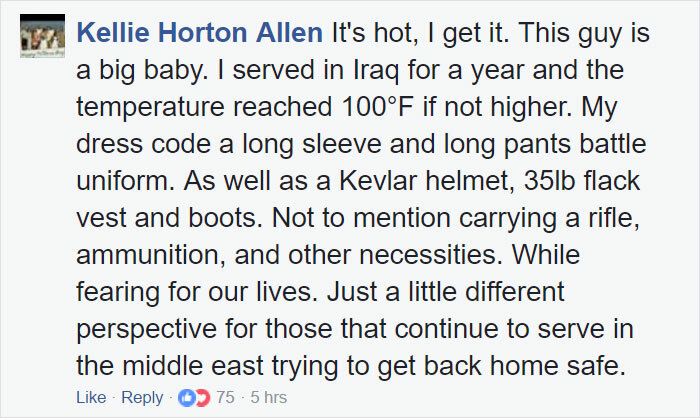 Was Joey’s solution extra or unprofessional?